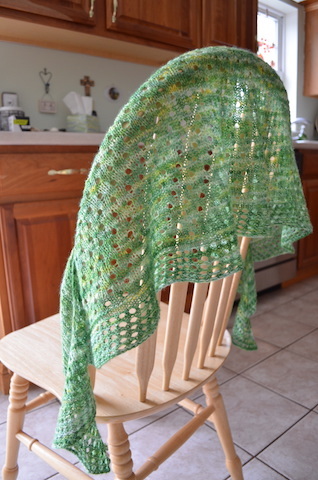 I never tire of the excitement when I finish a shawl. The casting off is a reward that most knitter's get excited about. There is the fun of casting on, then the steady momentum of the middle part, you know picking up a project and just toodling along. Then there is the cast off, soaking and blocking. The dessert of a fabulous meal. This is my second Pebble Beach Shawl and I repeated the edge lace a bit more than was written in the directions. I find that the crescent shaped shawl to be THE shawl that wears nicely around the neck. Also the narrow depth distributes the weight of the shawl better. That's a lovely shawl! I get the idea of not too much weight around the neck, I tend to go without shawls, scarfs and even cowls because of that. But this one looks lightweight and still warm. Love the color too! Absolutely beautiful! 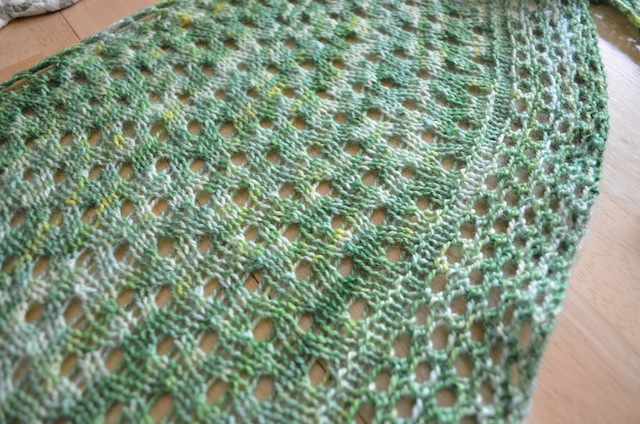 I will have to look at this pattern for myself as I really like the idea of a not-too-deep crescent shaped shawl. I love that gorgeous green! That color is beautiful. I love this pattern too. That is PERFECT! It has a lovely drape! Gorgeous! That green color is so lovely. I'll bet you get a ton of use out of this one. 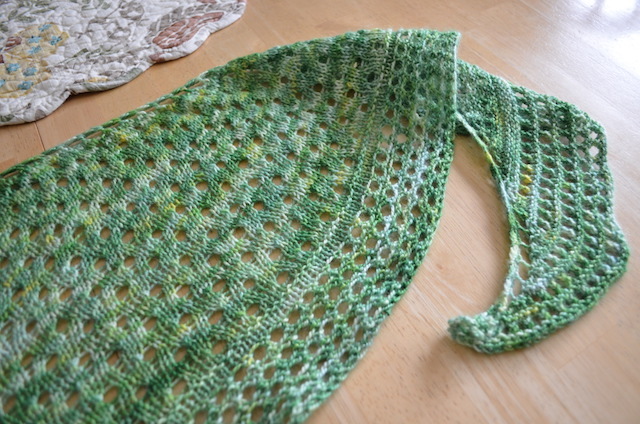 Such a lovely shawl! 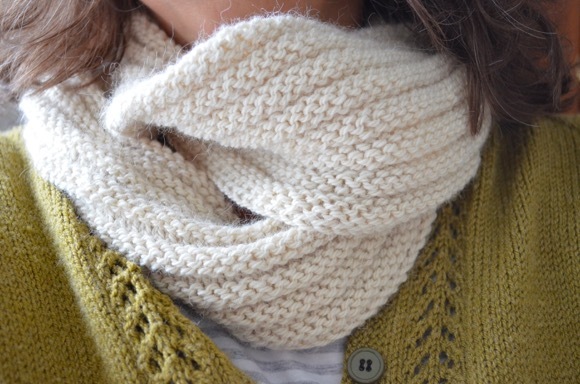 All of the Curious Handmade patterns are such a joy to knit. Yours turned out beautifully! My goodness, this is beautiful! 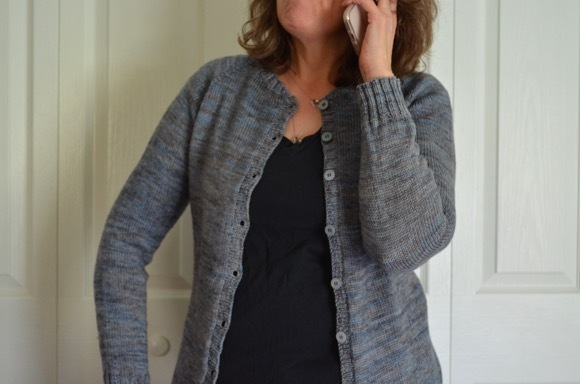 I love the pattern, and the color of the yarn that you used. Stunning, the drape is a delight and such a wonderful colour. Karen, it's beautiful! The color is perfect for spring! I can't wait to see what you knit next! I love it Karen! :) Definitely on my list of must do! Beautiful and I love the color!! Beautiful and what a great spring accessory! This is a lovely finish! The blocking was its total metamorphosis. I love the lace and the color is so spring and summer. Lovely! 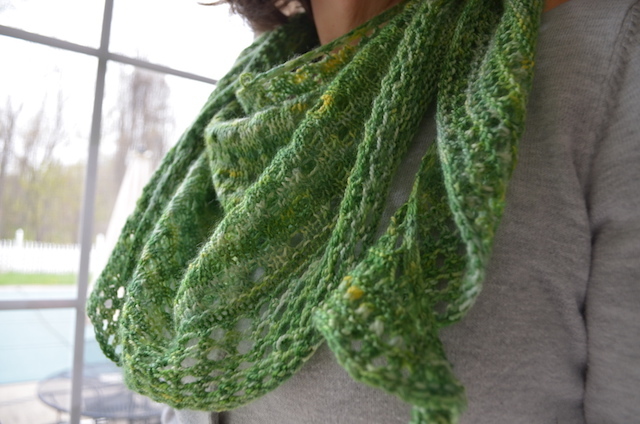 the yarn yells "Spring!" and it is so pretty with the eyelets in the pattern. How beautiful, Karen! 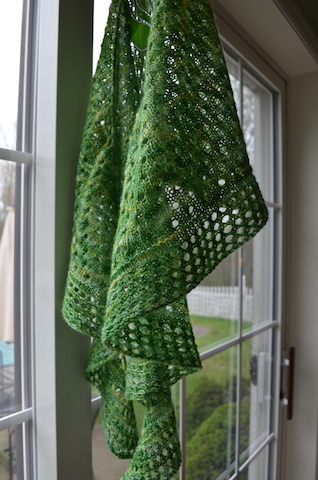 Between the lace and the colour this seems like the perfect spring shawl. Lovely! Such a great springy color, too. The shawl is so very pretty. Your photography is lovely. The close ups make me want to knit this shawl. Although I've seen and heard about the pattern, I've never paid close attention to stitch pattern in the body of the shawl. Must be the way I flip through the Ravelry patterns sometimes - too fast. Good lesson in slowing down and savoring the stitches. Oh goodness Karen, it is beautiful!